Hotel Utah Dec. 21st! Don Quixote’s Jan. 6th! Posted December 12, 2011 by Kellen Coffis & filed under Uncategorized. What an awesome year 2011 was for us. Got to play with some awesome bands, met tons of cool people at tons of cool places. Oh yea and we released an album. (She’s a doozy of a stocking stuffer btw) We don’t want it to end. Looking back at where we were at this time last year gives a strong sense of accomplishment. We are so grateful for the unbelievable amount of support we’ve received over the last 12 months. Having said that 2011 is not over and we’re excited about ending the year in style, and then, starting the new year in style, as it were. We’ve got some really cool shows coming up that we’re quite excited about. 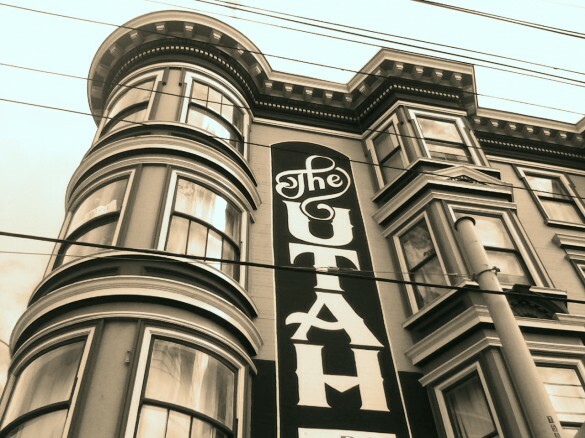 We’re going to be in San Francisco at The Hotel Utah Saloon on December 21st! 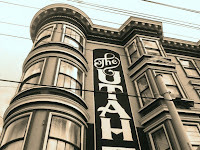 Its our first time at Hotel Utah and our last show of 2011. Tickets are cheap! And then, after the holidays (which seems like a million years from now I know) its the big one. We’re coming back to our old stomping grounds. We will be playing at Don Quixote’s in Felton on Friday January 6th. We haven’t played with our scintillating guitarist, Kyle Poppen since he bounced out to Boston for school in August. We’ve missed him dearly and he will be back on stage with us at Don Q’s and we are looking forward to hearing him tear it up on the Les Paul as much as you are. Kyle Poppen! Don Quixote’s January 6th! Many more details will be forthcoming concerning January 6th, stay tuned. In the meantime, mark your calendars, 8 pm January 6th, Felton CA. Thanks for stopping by we’ll be seeing you soon.